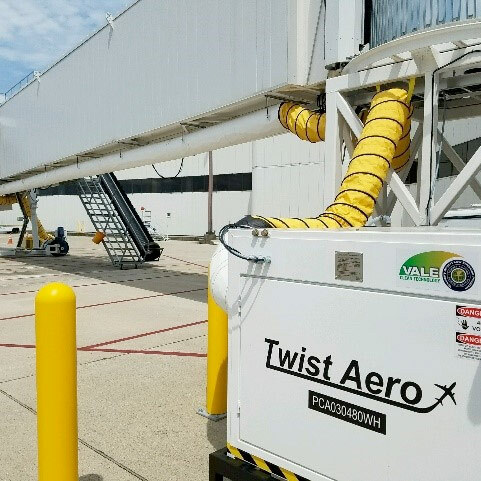 Airport gates were upgraded at John Glenn Columbus International Airport with the help of a $2.7 million grant from the FAA that facilitated replacing petroleum-powered equipment with new emission-reducing units. Read the press release for the entire story. 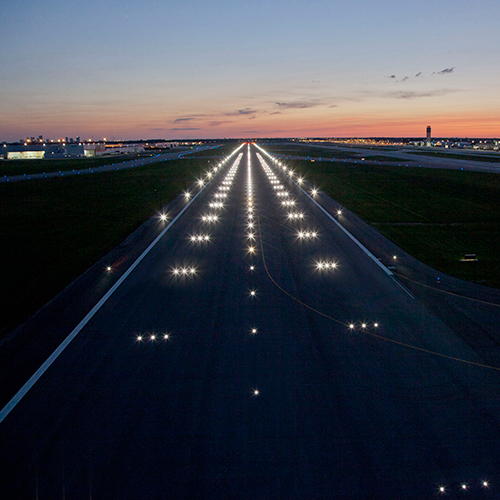 In 2013 John Glenn International was the first airport to install LED High Intensity Edge Lighting on its relocated south runway, where other LED lights were also installed. LEDs were also added to the north runway during 2016 renovations. In addition to a significant reduction in energy usage, LEDs provide greater visibility in all weather conditions. 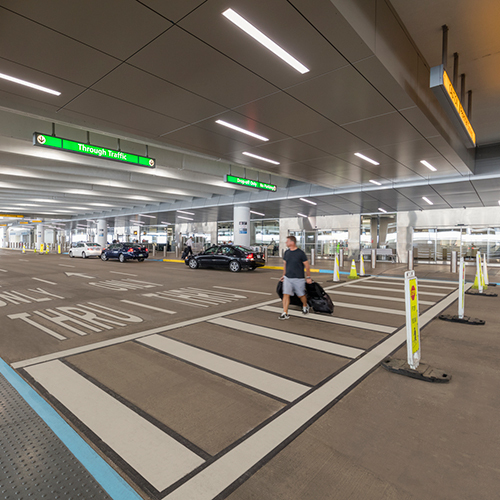 Energy-saving LEDs—installed during a three-year terminal modernization at John Glenn International—have contributed to an overall reduction of electricity consumption and a greater amount of electricity efficiency rebates. Smart energy-saving opportunities like these have become deliberate priorities when planning airport improvements. 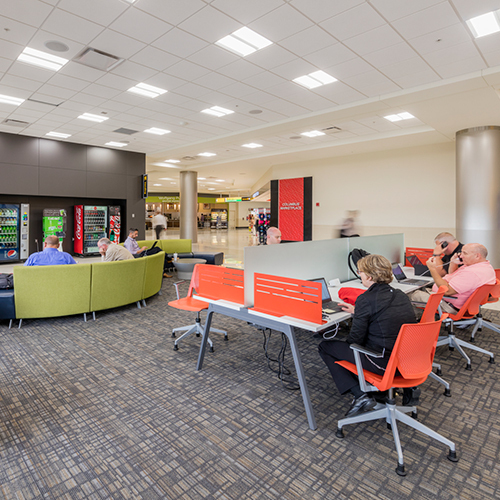 Passengers thrive with free Wi-Fi and more than 2,000 power outlets throughout the John Glenn International terminal. To offset the electronics energy consumed by the 7.3 million passengers who travel through the airport each year, we installed 33 solar panels atop one of the concourses. Airport concessionaires sponsor a major portion of the solar project cost through a collaborative marketing fund. In exchange, concessionaires receive promotional perks in the form of airport marketing. Click to view real-time data and energy being produced by the airport's solar panels. 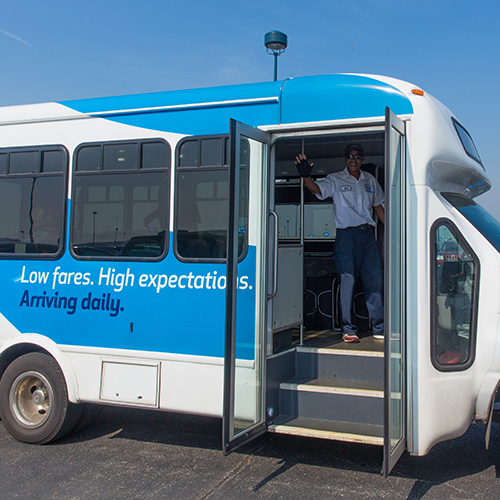 Read about John Glenn International's midfield development program, including a future terminal, new rental car facility and related construction projects. Follow us on social media and stay updated with the latest Columbus Regional Airport Authority news about our organization and John Glenn International, Rickenbacker International and Bolton Field airports.